Choose your Pokémon and battle to become the best! It’s Eevee against Rowlet in this dynamic showdown between two of the most popular Pokémon to be found in the Alola Region! 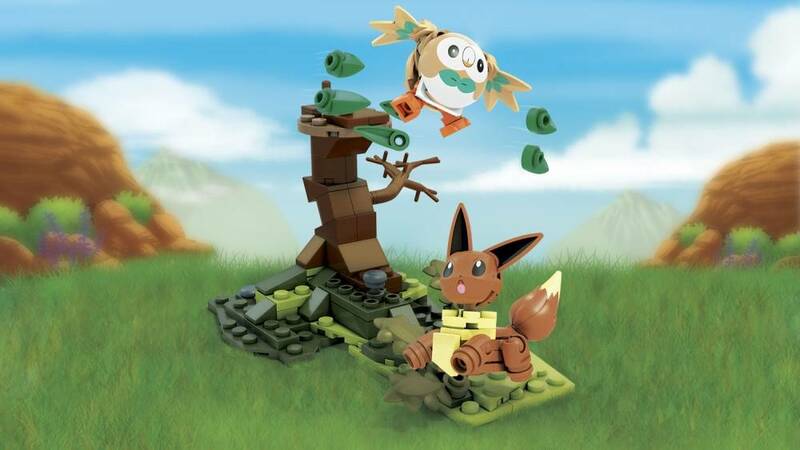 Build your Pokémon, and set the scene for a battle in the forest. 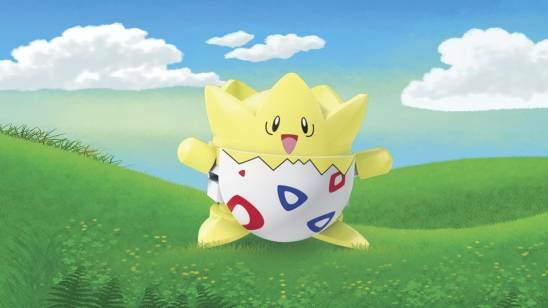 Then, get ready to unleash Grass- and Flying-type moves when you spin the leaves to help Rowlet attack, or press to activate the action pieces to help Eevee knock Rowlet out of the tree with a Normal-type attack! OK. I had a TIME building this. The action of the set is good in theory but the actual function of the set gives me anxiety over missing pieces. The. tree. would. not. stay. together. or on the platform for that matter. 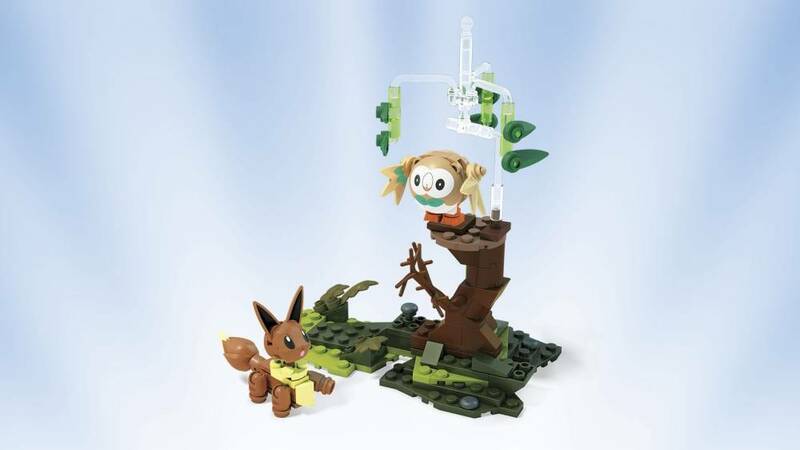 the rotation of the leaves is cute and i like that eevee was given a chance to even up the playing field but oh my god. that tree would not stay. 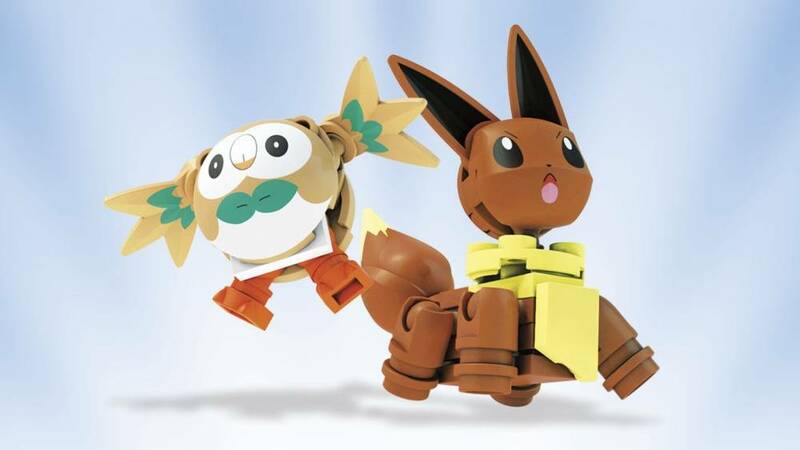 otherwise Eevee and Rowlett are adorable and I am happy with the product. looking forward to getting my hands on litten vs. popplio. 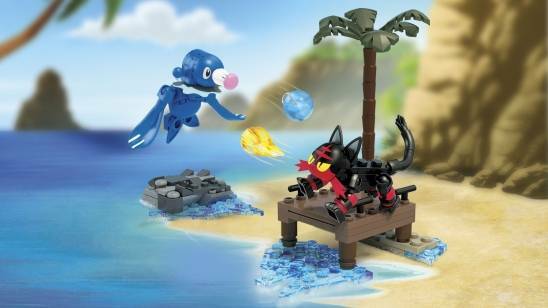 Have not purchased this set yet, just letting you know that in the description you wrote "Litten" instead of "Rowlett".